Editor’s Note: Imagine a celebratory uncorked bottle of clear bubbly champagne. Its effervescent action captivates everyone watching and cannot be contained. It is that same high-spirited vivacity and energy that begins to describe our delightful, engaging friend, Claudia. My use of “celebratory” goes beyond a bottle of champagne. Claudia celebrates all aspects of life. She plans to write her own story in two books next February to mark the 25th anniversary of the diving accident that left her paralyzed. She accepts her situation with unmitigated grace seeing it as part of God’s plan for her. Claudia views her family members and many others who have come into her life in more serendipitous ways as “my angels” who have appeared at a crucial time Claudia needed them. She gives thanks to God for sending each one of them. Taking time to reflect on my life since the day I was born on June 15, 1978, I realize how blessed I am to be surrounded by people who love and support me. Since I was a young child, I’ve been blessed with positive role models. Throughout my journey I have had the very good fortune of meeting people who have enriched my life in ways I never expected. Situations that may seem like coincidences at the time are all part of a larger plan for me. My first role models are my parents, who model the qualities I try to emulate. My dad, Alfredo, the oldest of six children of a poor farming family in Santa Ana, says his destiny was to remain in a small pueblo without electricity and have nothing. Instead, at age 16 he came here to San Salvador to study and eventually entered UCA (University of Central America) for a better future. I am proud and admire my dad’s perseverance and accomplishments in establishing a respectable audit firm while building his own clientele. When a mutual friend introduced my dad to my middle class mom, Mercedes, he was determined to make a sufficient living to allow her to be a stay-at-home mom focusing on raising us three children. My dad worked hard and sacrificed in order to provide quality educations for us kids. 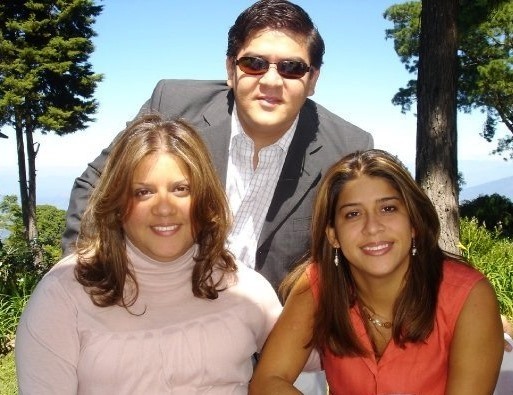 My older sister, Monica, older brother, Gerardo, and I all attended the French School in San Salvador. I went there from the time I was three years old. I was a good student in school and was considered extroverted and funny by my classmates. I had many friends. It was a happy period of my life. Both my parents raised us children with a strict upbringing. They stressed that we needed to work hard to achieve good grades and focus on our physical training. They made sure we were involved in organized sports where we would learn discipline. I took tennis, gymnastics, and swimming lessons. I was on a swim team at a local swim club. Two other childhood role models were my two female gymnastics teachers from Chile. The strict discipline they required helped me become organized with budgeting my time between schoolwork and practices. We competed internationally in Guatemala and Costa Rica. That also meant becoming competitive in the sport. All these traits have become vital to live a productive and competent life as an adult both in my career and in my volunteer groups for which I have a passion. My family maintained a comfortable standard of middle class life. We went on great family trips. Our family has always been extremely close. I had a magnificent childhood! That all changed around 1 PM on February 8, 1990. It was at that split second when not only my life changed but also my entire family’s life changed. 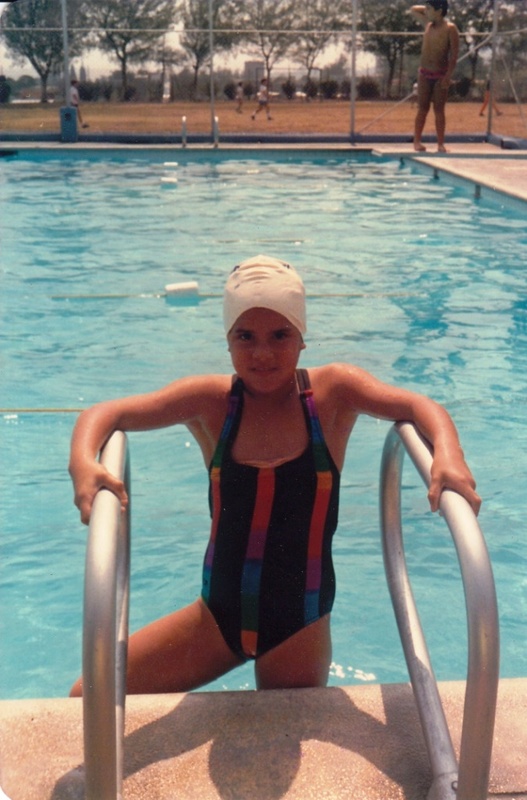 That day in sixth grade began as usual with my morning class schedule followed by swim class from noon-1PM. Since I had years of experience in swimming, the teacher often asked me to demonstrate several swimming strokes to the class, which I always enjoyed doing. Our school had recently added a swimming pool, and I had only been in it a few times. After class most of the students got out of the pool to get changed and the dressing rooms were full so two of my other friends and I decided to remain in the pool to swim a bit longer while the rooms cleared out. I decided to dive and told my friends to watch me. I immediately hit my head on the bottom of the pool and in that instant became paralyzed. I couldn’t move; I couldn’t breathe; I was swallowing a lot of water and wanted to get out, but I couldn’t get out. I never lost consciousness. I was aware of everything happening to me. It was about 20 seconds or maybe longer; it felt like an eternity. I thought no one was going to pull me out. I began to pray for I knew I was going to die. My friends thought I was joking and playing and that I was holding my breath to see how long I was able to stay under water. They were waiting for me to get out. A couple of seconds later my two friends jumped into the water because they saw I was not moving and pulled me out and put me beside the pool. But I could not move. My body was completely paralyzed. I asked for my brother and sister, but I was told they could not get them out of class. They called my teacher and he asked if I could move and I tried to move but I couldn’t move my body. He said not to worry, that in a couple of minutes I’d be able to move. I knew that was not going to happen. Then it became a crisis. My friends came and asked why I didn’t get up and I said I couldn’t. They called my mom to report that I had an accident at school, and she went crazy, as you can imagine. She drove to school and asked me what happened, and I told her that I dove and hit my head on the bottom of the pool and could not move. Some years earlier my mom had read Joni Eareckson Tada’s autobiography Joni: An Unforgettable Story which is a parallel story of a 17-year-old girl who becomes a quadriplegic after a diving accident. My mom immediately called my uncle who is a physician and told him to meet us at the ER as I headed there in an ambulance. Not only did my uncle meet us in the ER but also the doctor who received me was the parent of one of our school friends and knew me since I was little. (Again, this does not seem to be a coincidence.) I remember my swimsuit being ripped off as I was rushed into a six to eight hour surgery. Everything became blurry for the next two weeks. During that time I was on a morphine drip for pain. I had a team of five physicians caring for me at Hospital De Diagnóstico. The immediate concern was for spinal cord swelling; thus, surgery needed to be done quickly to reduce that possibility. My injuries were three broken spinal cord vertebrae: C4, C5, and C6. Because I had swallowed so much water, my lungs had collapsed, and I had to be placed on a ventilator and have a tracheotomy. The first people I remember seeing when I became aware of my surroundings were medical staff and my family who were permitted only short visits. My physician uncle was also checking on me. A couple of weeks after my first surgery I had a second surgery lasting more than six hours. I was in ICU for two months before I moved into a regular hospital room for three weeks and then was released to go home. While I lay in the hospital in ICU, I could only stare at the ceiling. I was unable to talk because of the trach tube, but I was able to hear and understand everything said. I was aware that another patient had died. My parents had to read my lips in order to communicate with me. At some point I was aware – and I don’t know how or who said it – but I was aware that I would not walk again. I think I never cried, but I must have cried. Yet, I never thought of this as the end of the world. But of course, I was little, only 11. Maybe I was unaware what that would mean or did not fully understand. My parents were told a much more devastating prognosis by the neurosurgeon. He said I would never walk again, never go off the ventilator, never sit in a chair, never get out of bed; he said that I would be able to basically just lay in bed. My mom did not despair. She looked at that doctor and replied, “I have faith in God” to which he sarcastically responded, “Oh well, somebody has to have faith.” The relationship between my parents and that doctor did not go well after his harsh words, yet they continued to allow him to treat me while I remained in the hospital. He never treated me poorly. While I was in the hospital, I had an unexpected visitor who had been there to see another patient and heard about me. He came to pray for me. His name is Sam Hawkins. He told my dad that he knew someone who worked in a foundation called Cross Connection that takes kids to the States for surgeries and treatments and wondered if they could do something for me. Sam and his wife, Julie, are true angels in my life. With my parents’ permission, he got my information together and sent it to Pam Randall from Cross Connection in Atlanta to manage my case. She sent it to many hospitals, but because I had already had a surgery in El Salvador, most hospitals weren’t interested. Then a doctor from the Children’s Hospital in Richmond, VA, read my file, and when she saw my photo, I reminded her of her newly-adopted daughter from Costa Rica. Because of that resemblance, she decided to accept me into her hospital’s program. I had been home for two weeks at that point and had already received breathing treatments and was off the ventilator, breathing on my own. I flew on a Medivac (air ambulance) from San Salvador through Cozumel, Mexico, to Atlanta before my final destination. It was a very small plane with only the doctor, pilot, co-pilot, and me, lying on a stretcher, aboard. None of them spoke Spanish, which made asking for something as basic as a drink of water difficult. Although the rules were for only the patient to be involved in the program, they made an exception and allowed my mom to be with me during treatment. She had flown on a commercial flight ahead of me and was waiting at the hospital when I arrived. Once again we were blessed with someone I refer to as “an angel” to look out for us. No one in the hospital spoke Spanish and we spoke no English. But there was a Spanish-speaking maintenance man who became a substitute father to me during the six months I was a patient there. The six months I was a patient in the Richmond’s Children’s Hospital were completely dedicated to my rehabilitation. Twice a day I received physical therapy and occupational therapy. I had meetings with a psychologist. I even had an English teacher. It was an extremely painful rehabilitation. I cried a lot from the pain on my neck, shoulders, and arms, but also from the frustration sometimes. Probably one of my greatest gifts from God is my perseverance. During rehab I did whatever the medical staff told me to do. If they told me to learn to write with my mouth using a “mouthstick”, I made myself learn it. If they told me to operate my electric wheelchair, I learned. I never gave up. 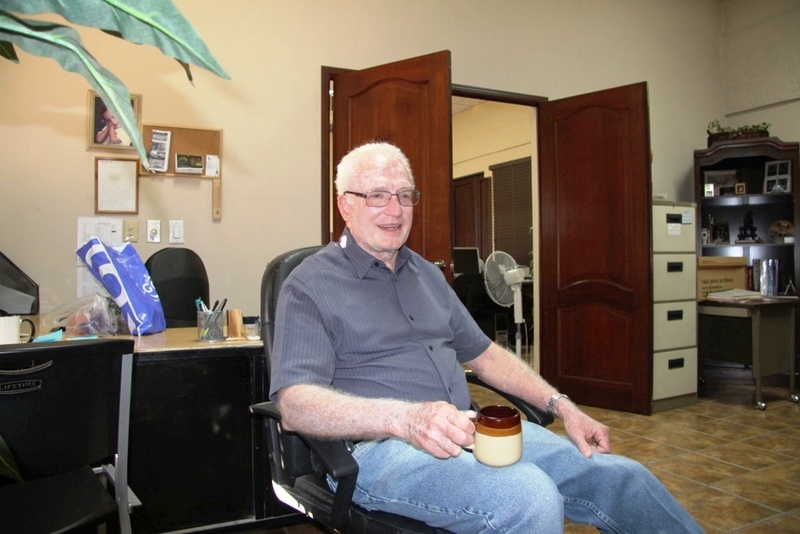 Through rehabilitation I was able to sit in a wheelchair and gained strength in my neck and shoulders. Coming back home after those six months was a challenge. We had to adjust and learn how to live our new life. I returned to my school with much support two years later after taking a series of different medical and psychological tests my school required me to take. I suppose they wanted to make sure I was mentally able to return. My parents didn’t want me to go back to the same school where I had had my accident but I was determined to do it. My siblings helped me get to classes and the cafeteria. My friends copied their school notes for me. I would not be where I am today if it weren’t for all the thoughtful gestures of so many caring people. After I returned to school, things were certainly different for me. I returned in a wheelchair to sixth grade, and my friends were in 8th grade. My close friends were now teenagers having boyfriends, planning their “sweet 16” parties, and thinking about their upcoming trips to France after graduation. None of those events would be part of my future. This was difficult at first to see that my former friends had moved on with their lives while I had to begin all over again making new friends. I was determined to move on with my life also, and my family helped me. My spiritual life became more active after my accident. My grandmother had always taken me to church, taught me religious songs and Bible verses when I was young. I thank her for that gift. Many people came to our house after my first surgery to lay hands of healing on me that I would walk again if I had enough faith. Who wouldn’t want that kind of miracle? But I realized maybe God has a plan to use me in this wheelchair, and his purpose is for something bigger. I know that God is using me, and when I pray, I say I want to reflect His love and help people in every way I can. I think God has given me His grace so that other people can see me and love me and be part of my heart. It’s God reflected in me. I am part of a weekly Bible study group with four other friends. It is a very important part of my life. About five years ago I became actively involved in the Joni & Friends International Disability Ministry. This Christian ministry based in California is devoted to “changing lives through service.” (Joni & Friends website). It started in 1979 as an outgrowth of Joni Eareckson Tada’s experiences (which mentioned earlier closely parallel Claudia’s diving accident). 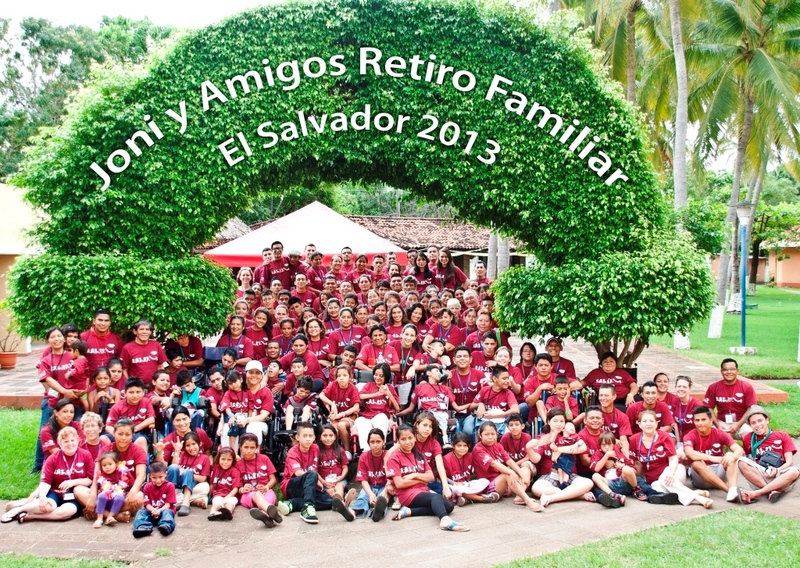 In November I was named the director of Family Retreats for the Joni & Friends branch in El Salvador. I’ve been very actively involved and committed to this facet of the ministry in recent years, so this is an honor to be named to this position. 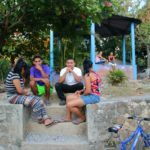 It involves fund-raising and organizing an annual 4-day extended weekend for immediate families of persons with disabilities. This ministry provides a very fulfilling way to help others within a Christian framework. I spend most afternoons working and planning activities to raise funds for our retreats. I LOVE volunteering for this organization. One component of these family retreats is “to glean from meaningful conversations from a network of families who understand the challenges of life with disability.” (Joni & Friends website). On one of the recent retreats, my own sister was able to share her testimony about being a sibling of a disabled person. Verbalizing some of her feelings was cathartic for her and helped me understand what my siblings have experienced. It reminds me that a disability affects an entire family. 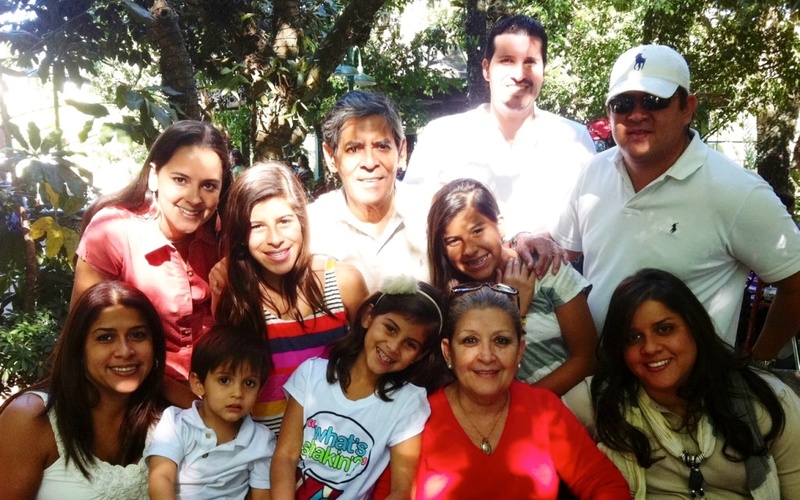 For example, our family was physically separated from one another during the six months when my mom and I were in Virginia for my treatments and my dad remained here in El Salvador with my sister and brother. That was a family stressor, and my siblings may have felt a sense of abandonment, at least temporarily. 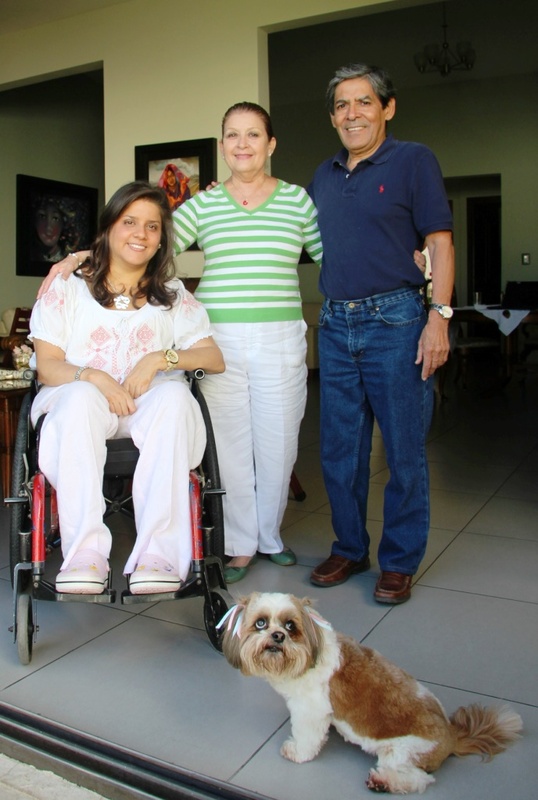 From the time of my accident, caring for my physical needs has been constant and ongoing. While my siblings fully understood the necessity of this, they still felt as if there was more priority given to my needs, health, and wellbeing. At the same time, when my parents were not around, my sibs felt responsible for my care such as at school. Although they never said it was a burden, I feel certain that they must have missed some of their own childhoods. Sharing these thoughts at the retreat helped us understand one another and all grow together as a family. I thank God for my sister and brother. They suffered and sacrificed because of me. I probably didn’t appreciate all they did for me at the time as I do now, but I wouldn’t be where I am now without my siblings and my parents. My friends have come and gone, but my family has been loyal and loving to me. My biggest fear is losing them. They are my everything. 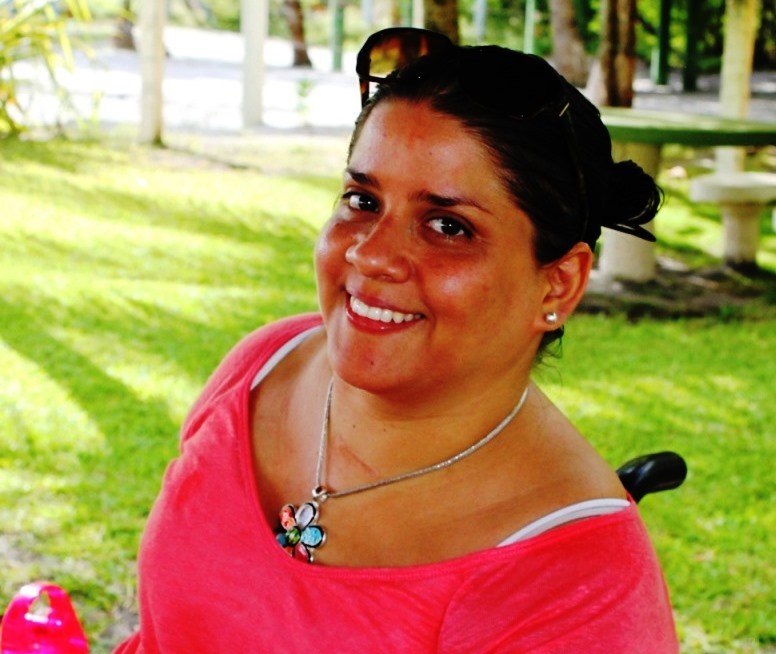 Before I became disabled, I avoided people with disabilities. I didn’t even try to relate to them. Now that I am in a wheelchair and I’ve been involved in Joni& Friends, I am making an effort to be an advocate for the disabled. I want to be the voice, to raise awareness, to teach people to be more respectful, to change attitudes, and to fight for our rights. Most importantly I want people with disabilities and their families to know that God loves them and has a plan for their lives. I finally understand that that is the purpose God had in my life and why I’m in this wheelchair. I read your website article on Eileen Batres Giron who was so amazing; she set the bar so high for championing the rights for the disabled. It will be very difficult for anyone to try to follow in her footsteps, but I’d like to try to by adding a Christian perspective to it. I would like to see the government or even NGOs use the model that Joni & Friends uses for their retreats to provide events or daylong workshops for people with disabilities and their families who need so much respite, support, and encouragement. Something as simple as enforcing the handicapped parking spaces is so important to those of us who desperately need and rely on them. I pray that God will touch the hearts of the people running the government in my country in order to provide a better long-term future. I continued my education by earning a degree in economics from Escuela Superior De Economia y Negocios, a challenging four-year program here in San Salvador. My “paid” job is in the human resources department with an audit, tax and advisory firm. I am fortunate to have a good education and to be fulfilled professionally when so many people with disabilities in my country are rejected from employment. I am happy to be part of the productive sector of society and able to pay taxes. My favorite parts of the job are meeting all kinds of people to recruit and interview including students. I hire and organize events. The part of my job I dislike is conflict. I generally work mornings. Our family is literally “growing” a coffee business called Café Real Salvadoreno, which is less than a year old. As it develops, we hope to employ people who need jobs in this new venture. I have been a member of the local Noroeste Rotary Club #4240 since 2008 when my mom and I accompanied my dad to an evening dinner meeting and someone in the club asked if I’d like to join. I knew about many of their projects already and agreed to become a member. Because I love to write, I’ve been the bulletin editor from my club for four years now. Currently I’m also president of its public relations committee. One of my passions is dogs. I love dogs and I’ve been involved in the adoption process at many rescue shelters after we rescue them. I have adopted a few dogs myself. My little dog, Lizzie, is my current little friend. I do not see marriage or children in my future. I get much fulfillment from my nieces and nephew. They are the joys of my life. Andrea (14) and Alexia (13) are my sister’s daughters. My brother’s daughter, Paola ,(10) looks just like she could be my daughter. He also has a son, Gerardo. Titia” is the nickname my nieces and nephew call me. They love to come over and spend time with me. I also help them with their English and French studies. They can’t wait to become old enough to help with Joni & Friends. Watching my nieces and nephew grow up brings me great joy. I have a very tight core group of friends with whom I’m very close that I know I can always count on. Alicia is my best friend. She is like a sister to me. She is now helping me with Joni & Friends so we spend time on those organizational details together. She is the best! I give thanks for her. One of my ambitious goals is to write two books. The first will be autobiographical and will be written with an intended adult audience. The second book will be a children’s book focusing on respecting people with disabilities and encouraging them to understand their rights. I have secured a writer and an illustrator. Some universities are already interested in my presenting my story, and this would be a good way to share it.